Matthew has over 17 years security management experience and, prior to his current role, he spent eight years with Etihad Airways with five years’ experience as Head of Aviation Security. Matthew’s role with IATA includes baseline compliance to Aviation Security standards and recommended practices, alongside leveraging an all-hazards, risk-based approach through strategic threat analysis and business continuity planning in a high threat, high reliability industry. 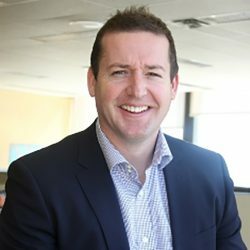 Previously, Matthew worked as a New South Wales Police Force Constable (Sydney, Australia) which led to a national security management role with the Australian Government (Canberra, Australia). Matthew’s government security career led towards to a national project management role with DHL Express and a consultancy role with GHD Pty Ltd based in both Saudi Arabia and Dubai. Matthew has a Master’s in Science, majoring in Risk Management and Security. In addition, Matthew holds a Bachelor’s in Policing and Justice and a Postgraduate Diploma in Criminal Intelligence, as well as several aviation security management qualifications.